Legendary investors such as Leon Cooperman and Seth Klarman earn enormous amounts of money for themselves and their investors by doing in-depth research on small-cap stocks that big brokerage houses don’t publish. Small cap stocks -especially when they are screened well- can generate substantial outperformance versus a boring index fund. That’s why we analyze the activity of those elite funds in these small-cap stocks. In the following paragraphs, we analyze Equinix, Inc. (REIT) (NASDAQ:EQIX) from the perspective of those elite funds. The collection of elite hedge funds tracked by Insider Monkey remain bullish on Equinix, Inc. (REIT) (NASDAQ:EQIX) as 2019 approaches. The multi-cloud data center provider was owned by 5.9% of those hedge funds, up from 5.7% in the middle of 2018. While some investors seem concerned about Equinix’s slowing growth, Trapeze Asset Management is not one of them, believing that demand will continue to grow, which should in turn lead to future margin improvement. “Equinix is at the nexus of favourable and massive secular trends in Internet traffic, urbanization, 5G, IoT, and AI that are exponentially accelerating the growth of data. It has only penetrated less than 3% of the addressable enterprise market that needs to migrate onto a modern multi-cloud IT architecture, and adoption should drive utilization, operating leverage, and higher margin services at Equinix. Investors are concerned with slowing growth but seem to be giving little credit for the potential for increased enterprise adoption and emerging higher margin solutions. Our FMV estimate is $620,” Trapeze Asset Management’s Q3 Investor Letter stated. Heading into the fourth quarter of 2018, a total of 41 of the hedge funds tracked by Insider Monkey held long positions in this stock, a rise of 11% from the previous quarter. 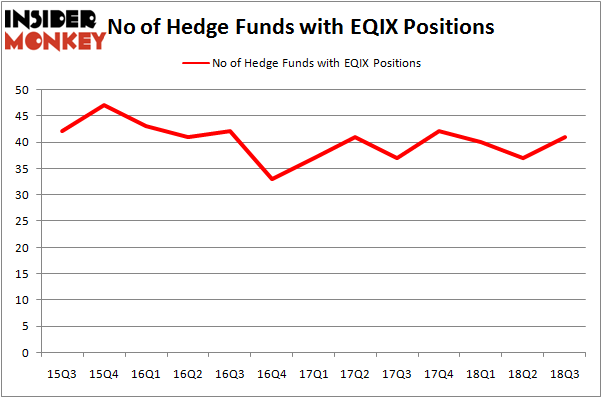 On the other hand, there were a total of 47 hedge funds with a bullish position in EQIX at the end of 2015. So, let’s find out which hedge funds were among the top holders of the stock and which hedge funds were making big moves. The largest stake in Equinix, Inc. (REIT) (NASDAQ:EQIX) was held by SPO Advisory Corp, which reported holding $492.7 million worth of stock as of the end of September. It was followed by Farallon Capital with a $263.5 million position. Other investors bullish on the company included Citadel Investment Group, Alkeon Capital Management, and Highline Capital Management. Consequently, some big names were breaking ground themselves. 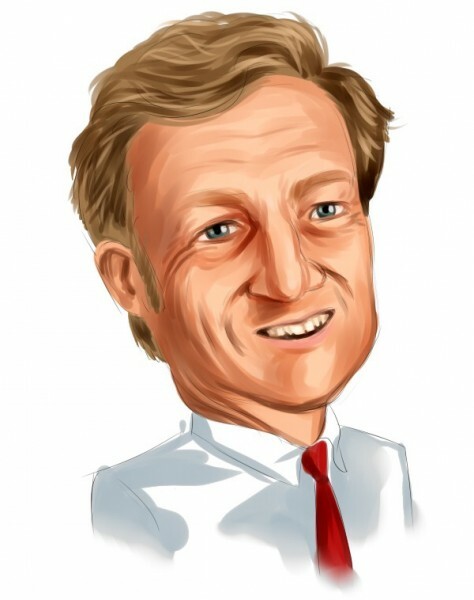 Farallon Capital, founded by Thomas Steyer, established the biggest position in Equinix, Inc. (REIT) (NASDAQ:EQIX). Farallon Capital had $263.5 million invested in the company at the end of the quarter. James Parsons’ Junto Capital Management also initiated a $34.5 million position during the quarter. The other funds with new positions in the stock are Dmitry Balyasny’s Balyasny Asset Management, Stuart J. Zimmer’s Zimmer Partners, and Jim Simons’ Renaissance Technologies. Let’s now review hedge fund activity in other stocks similar to Equinix, Inc. (REIT) (NASDAQ:EQIX). We will take a look at Analog Devices, Inc. (NASDAQ:ADI), Fiat Chrysler Automobiles NV (NYSE:FCAU), The Allstate Corporation (NYSE:ALL), and Canon Inc. (NYSE:CAJ). This group of stocks’ market valuations resemble EQIX’s market valuation. As you can see these stocks had an average of 26 hedge funds with bullish positions and the average amount invested in these stocks was $1.85 billion. That figure was $2.26 billion in EQIX’s case. The Allstate Corporation (NYSE:ALL) is the most popular stock in this table. On the other hand Canon Inc. (NYSE:CAJ) is the least popular one with only 8 bullish hedge fund positions. Compared to these stocks Equinix, Inc. (REIT) (NASDAQ:EQIX) is more popular among hedge funds. Considering that hedge funds are fond of this stock in relation to its market cap peers, it may be a good idea to analyze it in detail and potentially include it in your portfolio.